If you've ever lost a mobile phone or had it stolen, you'll know how important mobile phone insurance is. But if you've been lucky so far, and you're as busy as most of us, you could easily let buying mobile phone insurance slip to the bottom of your to-do list. Maybe you think it's not worth the extra money – and let's face it, the cost can be considerable, with premiums as high as $199 a year for an iPhone. If you shop around, though, you can find cheaper deals. You've just upgraded or bought a new phone. l You have an expensive smartphone or a handset that would be too expensive for you to replace easily. l You're on a long-term contract with your mobile phone company. Lost or broken phones are part of your history. Maybe you sometimes text people while crossing the road or getting onto a train, causing accidental damage, or leave your phone in random places when you've had one too many. It can happen to anyone! You rely on your mobile phone and would need an instant replacement. It's a huge hassle being phone-less for a while, and then there's the tedious process of getting a new phone and having to find your contacts, music and apps all over again. Basically, if your phone is lost, stolen or broken, you will be covered. But coverage varies widely. Check the fine print carefully to see what's included in your insurance – and what's not (the exclusions). Some mobile phone insurance policies will cover you for water damage, so if you drop your phone down the toilet you'll be OK.
Others will see this as 'not taking reasonable care', so you'll have to cover the costs yourself. 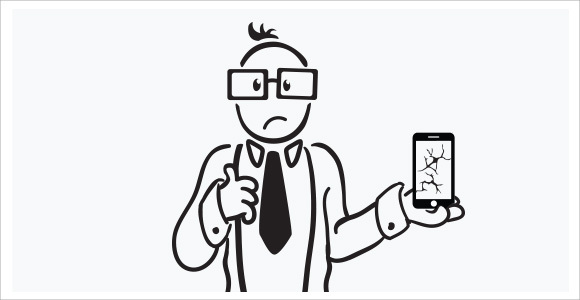 Carelessness is often a reason for not having your phone replaced; so avoid carrying your phone in your back pocket in a busy pub. Some policies include cover for accidental damage, unauthorised calls, protection when you're travelling, and valuable content like apps, games and music. If you can't be without your phone for long, make sure you choose a policy that includes a rapid replacement service. Including your mobile phone in your home contents insurance: This is an inexpensive option, and you may be able to add accidental damage cover that includes what happens outside the home. Be aware, though, that if you do make a claim related to your mobile, your rates as well as the excess may be higher next time round. It can also take longer to have your phone replaced with this option. Packaged Bank Accounts: If you pay a monthly fee to your bank, check if you can get insurance as part of the package. But make sure this insurance covers what you need it to. Self-insurance: Instead of handing over your money to an insurance company, use the money to create your own fund so that you can replace your phone if it's lost or stolen. Of course, you have to hope that any problems occur only after you've saved up enough money. Hopefully, this article will have helped you get clear on whether you need mobile phone insurance, and how to make an informed decision when shopping around for cover. Being in a management position involves a lot of responsibilities and a lot of risks. Making the wrong decision or even being viewed as failing to live up to incredibly high standards of conduct can...... Read more. When mistakes happen there's professional indemnity insurance! Mistakes happen. Professional indemnity insurance protects individual professionals, small businesses, and large companies to provide their services without fear of being sued for an error. In a perfect world no one would be harmed by faulty machinery, software products would never infect a personal computer, and no one would ever get sick from purchasing expired food that a ...... Read more.